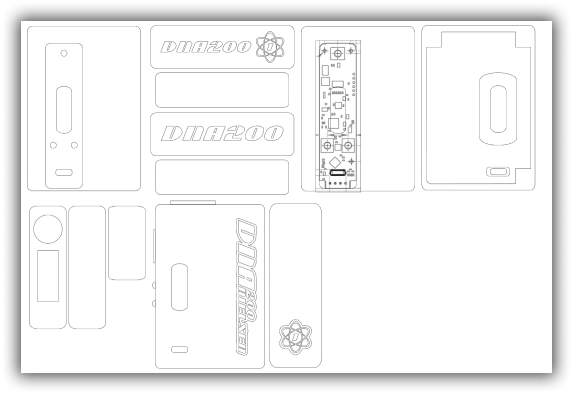 How do you have the DNA 200 secured to the project box? Also, have you run case analyzer on your build? The results of that would be quite interesting here. 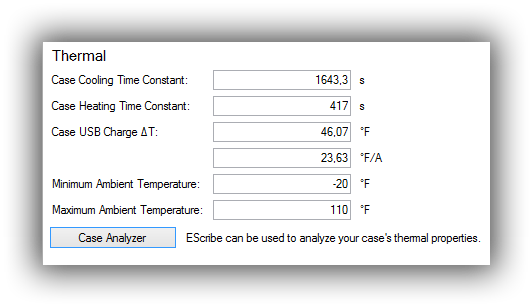 Running case analyzer it just waits for steady temp (currently +20min), should I increase my ambient temp? I do have some vinyl cutouts on my inside as insulation but I'll doubt that should pose a problem hence it happens without any lid on as well.. switching to kanthal didn't seem to help either, it's been like this past two days only and everything else seems to work as it should. Did the problem start when you updated the firmware perhaps? What firmware version are you running? Well, the basic issue is that it is running significantly too hot. The question is is it always running hot, or is it just during charging. 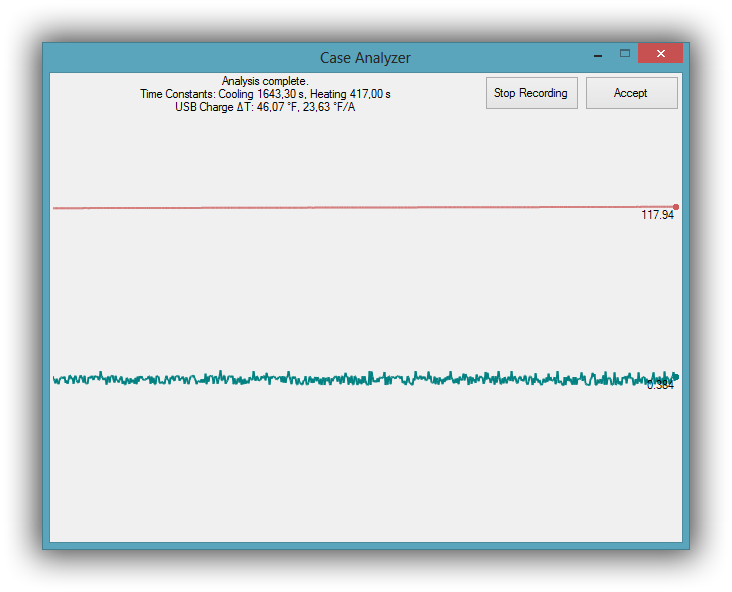 Case analyzer should be interesting. My wattage usually at 25-30watts and past two days board getting warm like this so could be an update but I'm not sure. This part in particular gets warm, if I take a puff while charging sensor kicks in and lowers charging to 0.09, then I have to wait and unplugging my battery seems to help for it to reset. But will try the case analyzer, should I set USB current to 0 in diagnostics while doing so? That part also gets warm by just vaping without charging but gets even warmer while charging. How long have you had this one running, out of curiosity? 23F/A seems okay, but running 46 degrees above ambient when idle is way too hot. No, I believe the case analyzer results. I mean how long have you been running the DNA 200? 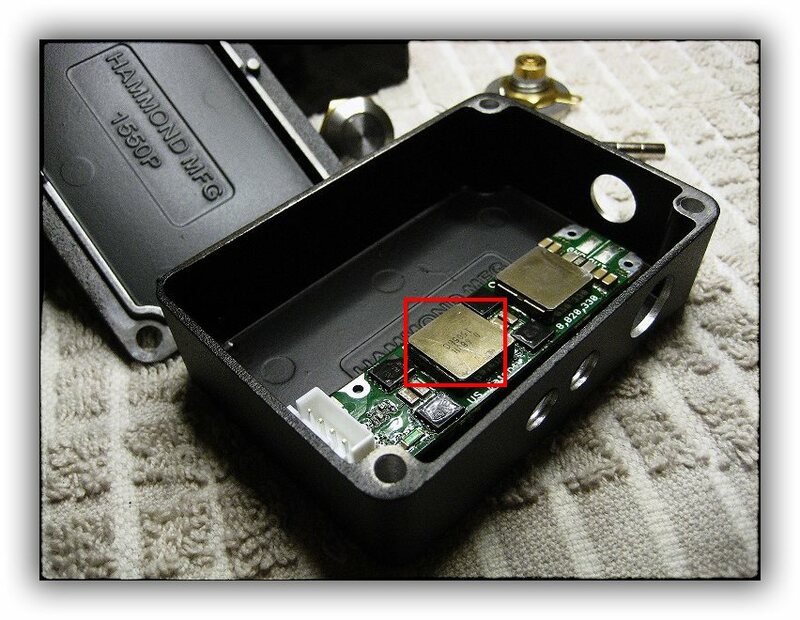 Firmware prior to 7/9 could cause chip damage in rare circumstances that we've seen cause excessive heating, but if yours has never been run with firmware that early that would be cause for greater concern. Can see my exact timestamps in this image between installations, ran first firmware for a few days and upgrading when new builds to avail.